Brave Boys Were They! contains the biographies of over four hundred Civil War veterans who lived in Kalkaska County, Michigan. More than two hundred veterans are interred in Kalkaska County Cemeteries, some in unmarked graves that are only now being marked with military headstones. The book chronicles the events and the activities of the Grand Army of the Republic and the Women’s Relief Corp that were active and vital part of the Kalkaska community from the 1880’s through the 1930’s. Newspaper accounts of the G.A.R. and transcribed minutes of the W.R.C. included in the book testify to the character of these brave men, and the women who supported them, during the nation’s Civil War. The book is 429 pages & includes photos of known Civil War veteran’s graves. 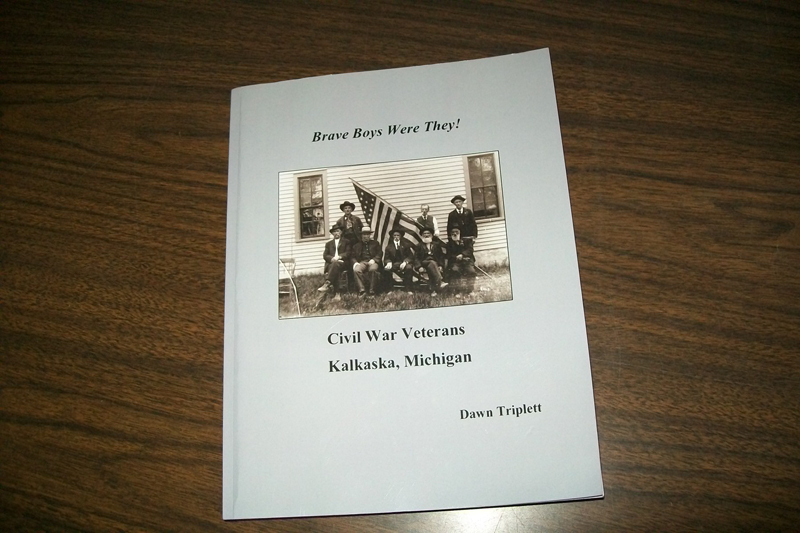 The author, Dawn Triplett, is a local Kalkaska resident & genealogist.